So, what the heck was I doing in Millburn, NJ, you ask? Well, my mother lives in a nearby town and I wanted to take her somewhere nice for her birthday. She had seen MoonShine Modern Supper Club on TV at one point, and chose it for our outing. I’m not quite sure what constitutes a “modern supper club” and MoonShine’s website doesn’t exactly illuminate the matter, but they do have a reasonable description of their approach: “Opened in November 2011, MoonShine Modern Supper Club presents Contemporary American cooking executed with style, finesse, and an updated comfort-food sensibility.” Yes, yes and yes. MoonShine certainly achieves all aspects of their description. Thinking the place would be packed at brunch (they were on TV, after all), I made a reservation for noon on what would be a rainy Saturday. When we walked in early, we were the only guests in the whole restaurant. I guess New Jersey people don’t “do” brunch. MoonShine graciously offers a nice prix fixe brunch menu, with a handful of salads and other types of dishes for appetizers, and delicious options, such as croque monsieur, chicken paillard and salmon, for entrees. We ordered coffee and took in the menu. The extremely accommodating waiter made small talk with us, about the weather and other topics, and brought us three banana muffins, which were exquisite. 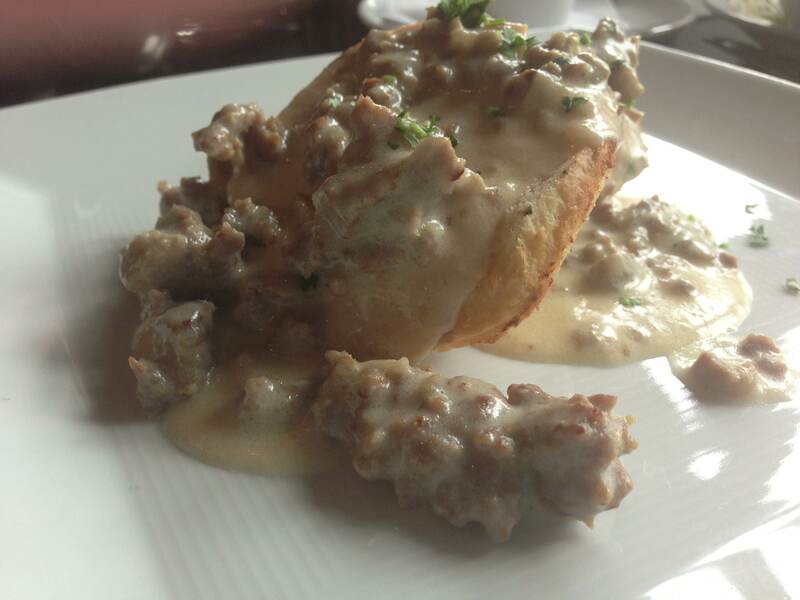 For my brunch, I ordered the biscuit with sausage gravy and the omelette with goat cheese and roasted tomatoes. My mother also opted for the biscuit dish, but decided to try the MoonShine burger, which is topped with cheddar and Applewood bacon. The biscuit appetizer was amazing. I couldn’t get over how delicious the sausage gravy was. MoonShine clearly uses top-notch ingredients, as the sausage had a distinct flavor of fennel and it was evident that it was high quality meat. The biscuit itself was pretty standard, not made with lots o’ lard like Bubby’s, but definitely solid. My mother and I both polished off our plates and felt quite sated following the biscuit course. Then, the entrees came out. And I’ll tell you, the burger is the entree to get at MoonShine. So do go there for brunch! Because I had eaten a burger last night, I couldn’t order the burger, something I rather regret now. It was, in a word, heavenly. Extremely juicy, the patty had flavors of sirloin, as my mother pointed out, and was cooked to a perfect “medium” level of doneness. 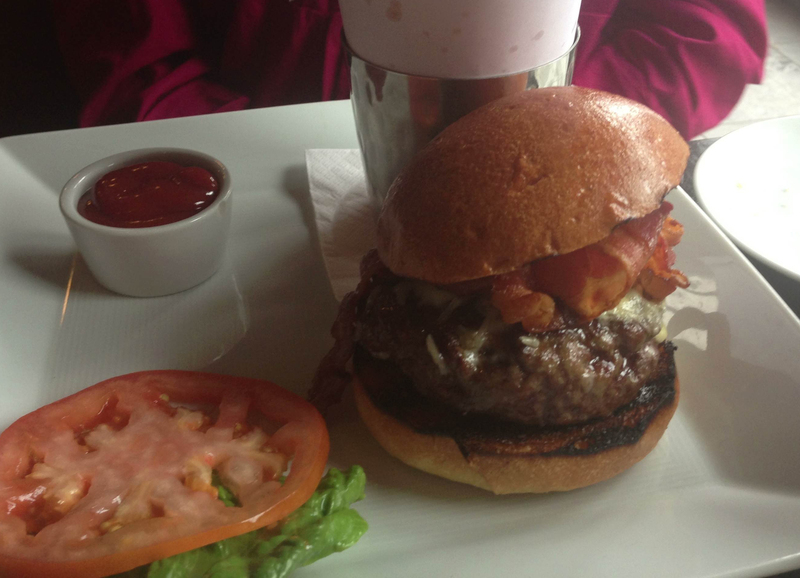 The whole package–the bacon, the cheddar, the patty, the bun–made the burger one of the best I’ve ever had. Really. It was that good. And the shoestring fries that accompanied the burger were outstanding–lightly salted, crisp and flavorful. You can’t beat that dish. As for my omelette, well, it was just okay. 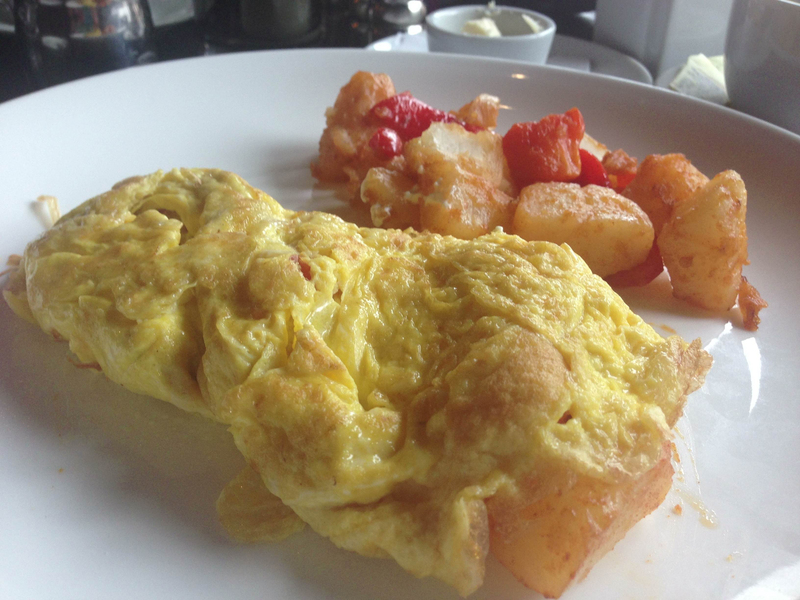 I didn’t sense the tomatoes were roasted, but merely diced and tossed into the omelette, disappointing. The egg itself was slightly overcooked, and I ended up only eating about half of it. I highly recommend MoonShine Supper Club for brunch. It’s pretty easy to get to Millburn from New York. Just take the NJ Transit train to Millburn and walk a few blocks to get to MoonShine. I’d trek a hundred miles for that burger. You might, too. And Millburn has a beautiful downtown area to perambulate, and an adorable park just across the street from the restaurant. Go sometime. You won’t regret it.